Have you ever wondered what’s the usage of the DNS (Domain Name System) servers set on your computer? It is mainly used to convert human meaningful names (domain name) to computer meaningful name (IP address) in Internet. This is because computers can only recognize IP addresses. It allows you to use internet more easily by allowing you to specify a meaningful name on your web browser instead of using IP address. For example, whenever you key in www.yahoo.com, www.aol.com, www.google.com or other URLs, those meaningful names will be translated to IP addresses by DNS server in the background (this is also considered as forward DNS lookup). It makes your life easier by allowing you to just memorize human meaningful name instead of IP address. Some examples of IP addresses are 192.168.1.1, 63.12.34.36 and 202.188.0.133, you might feel difficult to remember these IPs unless you are number lover. 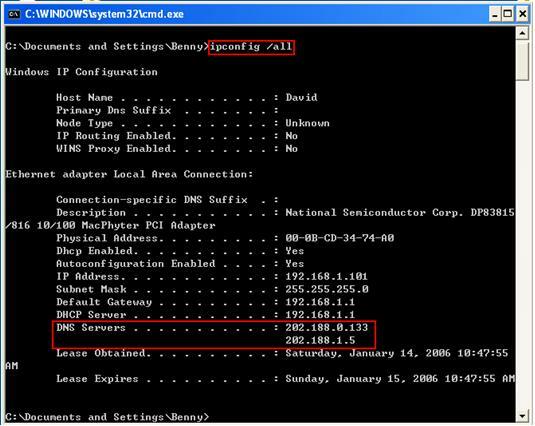 Here is the way to check domain name system server set in Windows OS, feel free to check on your computer and make sure it's configured properly. 2) Run window will appear. Type cmd and click OK.
3) Command prompt window will appear. Enter ipconfig /all and you will know the domain name system servers set on your computer. In this example, the servers are 202.188.0.133 and 202.188.1.5. If no DNS server is displayed, then you won't be able to surf websites by using domain name even your Internet connection is working (however web surfing by using IP address will still work). Note: ISP will usually provide you two DNS servers IP information, primary and secondary servers. It means the secondary server will be used whenever primary server is down or not available. You can also check out here on how to do domain name resolving by using nslookup command. 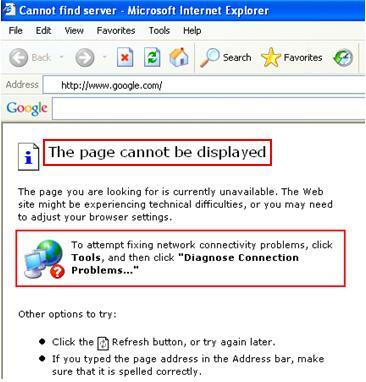 Note: If you configure incorrect DNS servers on your computer or the configured DNS servers does not able to resolve the domain name correctly, you will still face problem when you try to surf website by specifying domain name. 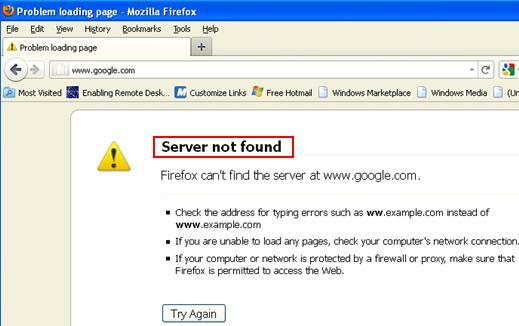 Usually you will get the page cannot be displayed error in Internet Explorer or Server not found error in Mozilla Firefox browser. In this case, you can configure free DNS servers which are provided by OpenDNS or Google, after that try again. If you want to learn more on DNS topic, here are the books that talks more about DNS , you can go ahead to explore more.